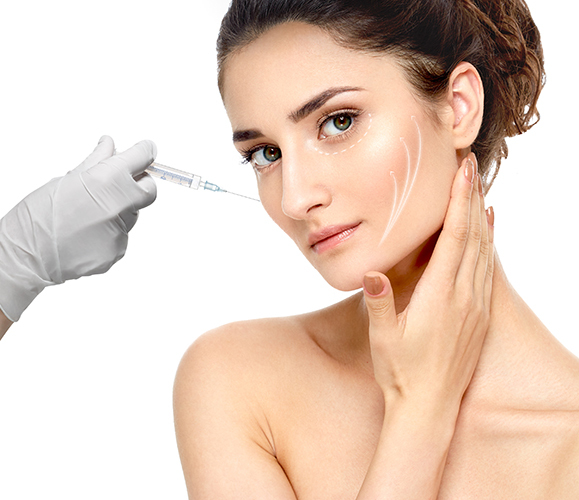 Effective Anti Wrinkle Injections treatment in Glasgow . Wrinkle fillers are a popular way of protecting your skin from the signs of ageing. We can offer safe, muscle relaxing anti-wrinkle injections at affordable prices in Glasgow, carried out by trusted medical professionals. Contact Us today, where one of our helpful staff will help organise your FREE consultation. One of the safest treatments on the market, with years of clinical trials supporting it. Why do I need anti-wrinkle treatment? There are two types of wrinkles. As the name suggests, permanent wrinkles are always visible, and are usually caused by the loss of volume in faces and lips. A combination of fillers and anti-wrinkle treatment is usually the best way to reduce the appearance of these. The second type of wrinkle – dynamic wrinkles – are not always obvious. 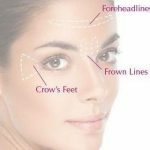 They are the wrinkles that appear on your forehead and around your eyes when you make facial movements – and they can begin appearing as early as your late teens or early twenties. They are most noticeable when you smile, frown, talk or react. Then, when your face relaxes, the wrinkles disappear. Eventually, dynamic wrinkles will become permanent, but anti-wrinkle treatment helps keep them at bay. Increasingly we are seeing younger people choose anti-wrinkle treatments, preventing wrinkles from appearing earlier. The treatment prevents wrinkle formation, helping your skin look fresher and younger. The secret is a purified protein, injected in tiny doses, that blocks the signals that usually tell your facial muscles to contract. With just the right level of treatment, you’ll find the effect reduces wrinkles without your friends and family being any the wiser about your treatment. Before we carry out any treatment we’ll complete a full consultation with you and explore all your options so you can make an informed choice. Once treatment begins it should only take around 10 minutes. Results start to show between 2 - 14 days after treatment. The effects are temporary but typically last 4 months for an initial treatment. Further courses can prolong the effects and reduce the frequency of treatment. Some people notice a little redness and swelling (which should settle within 24 hours), or some slight bruising or watery eyes (for 2-3 days). Most people experience no side effects at all. We will discuss any potential side effects with you at your consultation. Are there any complications associated with this treatment, or conditions that may prevent me having the treatment? Anti-wrinkle treatment is one of the safest drugs on the market. It has undergone years of clinical trials and has been licensed by the Medicines and Healthcare Products Regulatory Agency (MHRA) for the temporary improvement in the appearance of wrinkles. There are, however, some conditions that may make this treatment unsuitable for you. You shouldn’t, for example, have this treatment if you are pregnant, about to undergo an operation or suffer from certain neurological disorders. We’ll discuss all of these with you when you visit us and ensure that the treatments you choose are suitable for you. Arrange your free consultation now by filling in the form below.